Through use of a lead differential weight the Dean Markley peizo reacts through compression rather than just bending, like all other Peizo pickups. 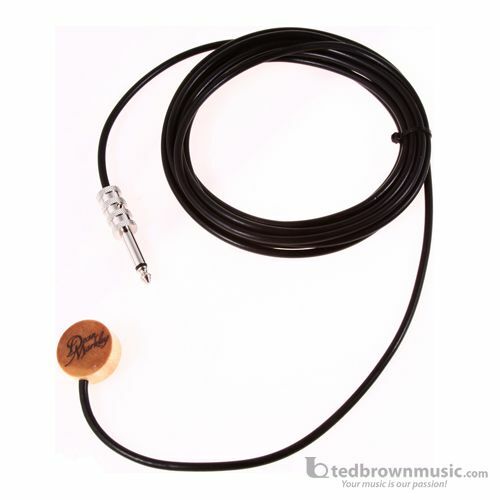 This unique patented design gives Dean Markley's Artist Transducer its high quality sound at a price which is affordable. Great for a Classical Guitar, Bajo Sexto, Mandolin or Banjo, Artist Transducer's special mounting adhesive allows the Artist to be mounted and removed many, many times without hurting the finish. The Artist has been on the market for over 17 years and we've never had a complaint about it or the adhesive.